The ultimate hurricane and storm shutter protection. 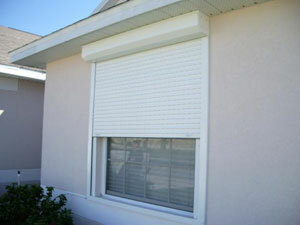 Many of our customers use their roll down shutters for home security at night or when they go out of town. Our Roll-downs are the ultimate in performance and beauty. Specially designed optional key locks for external, tamper-proof operation. Extruded aluminum slats effectively blocks strong winds and direct sunlight. 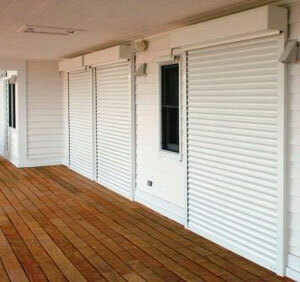 Each Roll-down is custom designed and engineered to each specific opening at your home or business.